A DIY take on the classic wingback gives this bedroom a whole new look. There’s something transporting about wingback furniture. And private. When it comes to wingback headboards, that little extra bit of material marks the borders of your own personal sanctuary. 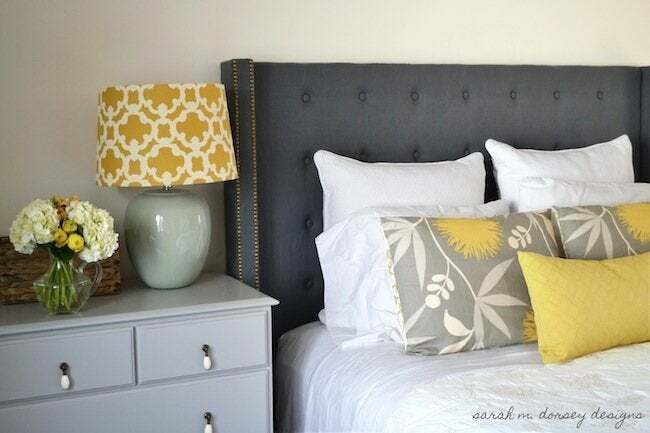 So we were thrilled by Sarah M. Dorsey’s fantastic DIY wingback headboard. From the tufted look to the nailhead edging, all the details came together to make this project a visual success. Read on to see how she created the high-end look for under $150. 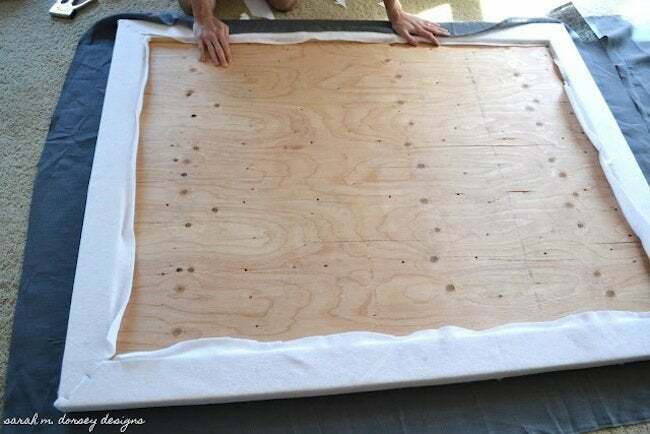 The plywood was cut to size, holes drilled in plywood for tufting, 1x4s were cut to build a support around the entire back. 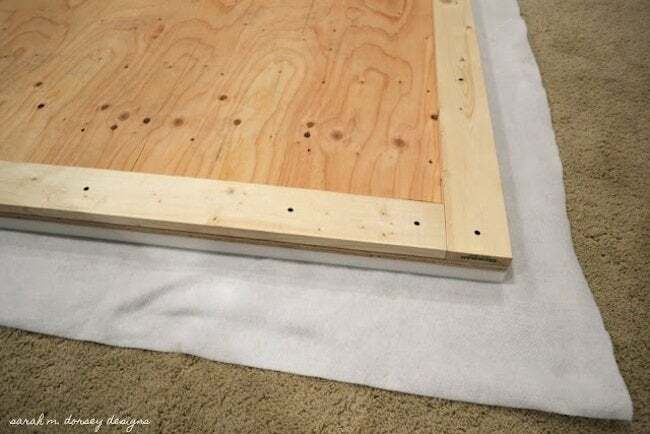 1-inch foam was attached with adhesive to avoid it slipping while tufting. Batting was attached with staple gun, fabric on top (attached after tufting). Buttons were covered with fabric (I also applied a small amount of gorilla glue on the interior of the button since I wasn’t using heavy duty button covers, to avoid them popping off). I doubled up upholstery thread and used a long needle to tuft. Like the ottoman we made, I pushed to button from the top—pulling the fabric tight as I went and David stapled from the bottom. Fabric was pulled tight and stapled underneath on all sides. Next the arms were attached. A 2×6 and 1×6 were attached together with screws. Fabric and batting were cut to cover the arm. 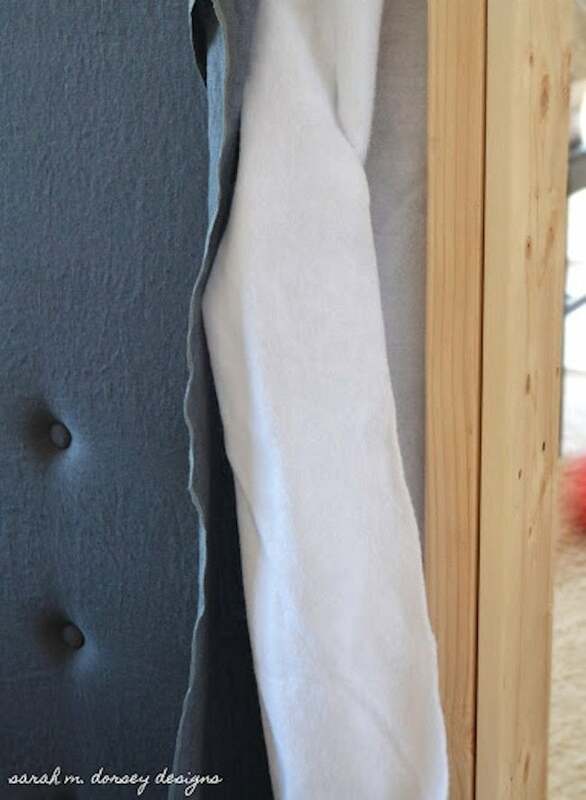 Fabric and batting were placed in between headboard and arm then the arm was attached to the headboard. Fabric was pulled tight around the arm and stapled to the back. 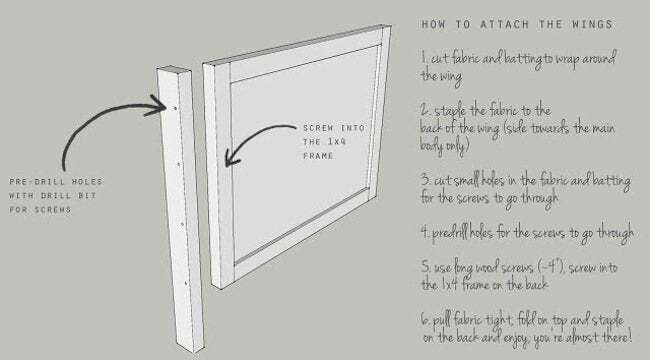 The fold for the fabric on the top of the wing was created by first pulling the fabric over the top, stapling on the outer side, wrapping the fabric around the front and side of the wing, folding the top edge to create the crease (excess fabric and batting were cut off at this point too), and then stapling in the back. 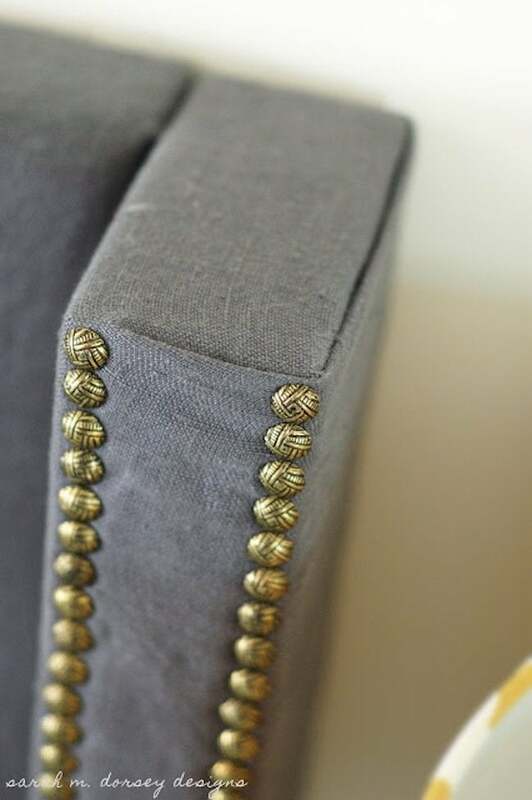 Nailhead was applied on the edges of the arm. I found it pretty easy to eyeball it with the edge, but you could use a pencil or fabric pen to draw a guide line. I used about half the box of nail head, so about 500 in total. Thanks, Sarah! 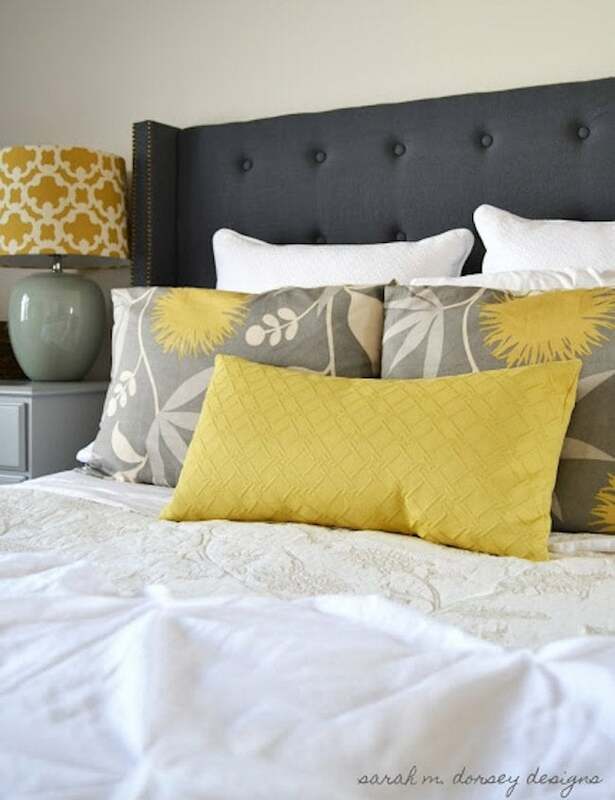 To see the plan she designed and get the exact measurements for her queen-sized headboard, or to tour her house, visit Sarah’s blog.